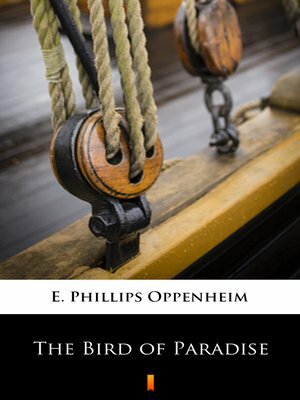 Mr. Hamer Wildburn, a young American, graduate of Harvard is wintering on the Mediterranean coast of France in his newly purchased yacht „The Bird of Paradise", and is puzzled by the desire he finds in visitors coming aboard at different times to buy the vessel from him. One night he is awoken at 3 am by the cries of a beautiful, and wearing priceless emeralds, woman swimming alongside. She comes aboard and offers to buy the yacht for twice what he paid. The next day, the foreign minister of France also makes an offer to buy the yacht at an outrageous price. Soon a known terrorist develops a bomb to utterly destroy the boat and all it's inhabitants. And so on, and with the material of conspiracies, French politics, love and adventure the story is woven around the yacht.